Learning to ride the bus is fun and easy with the help of a volunteer Bus Buddy! Travel on the bus increases socialization, independence and the freedom to travel on your own time. What is a Bus Buddy? 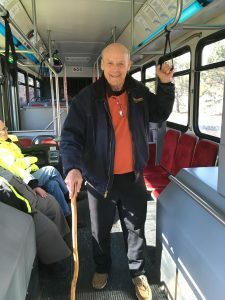 A Bus Buddy is an experienced bus rider of Waukesha Metro Transit who volunteers their time to familiarize and make individuals more comfortable with riding the bus. What can I learn from a Bus Buddy? Who can request a Bus Buddy? Anyone interested in riding the bus can request complimentary training from a Bus Buddy. The Waukesha County Find-a-Ride Network (FARN) is a multi-sector partnership of business, social sector, government, healthcare and transportation providers. 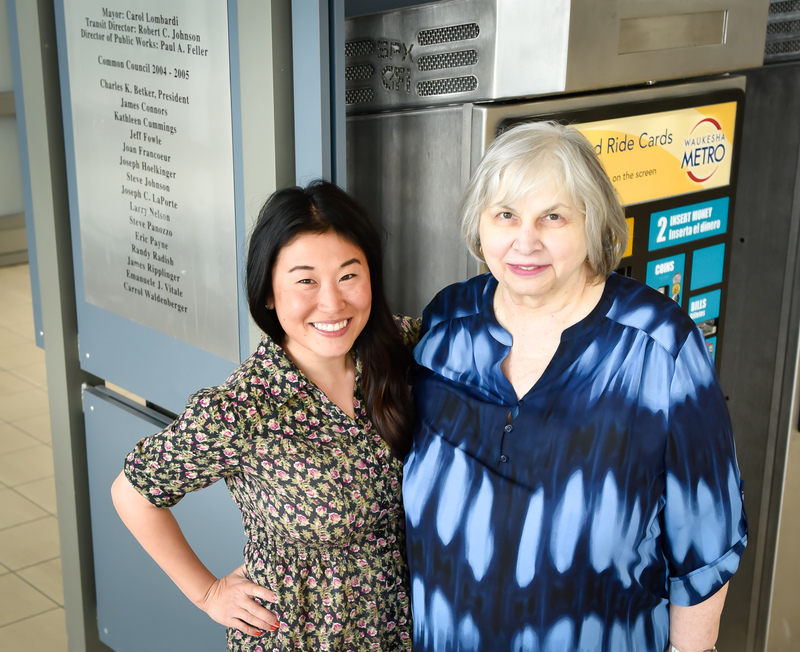 The Find-a-Ride Network uses a Collective Impact approach to address complex transportation needs of customers of the health and human services sector. Pictured is the July 25, 2017 meeting of FARN. 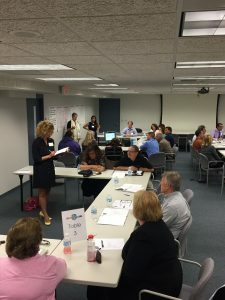 Participants engaged in group work to establish a One-Call One-Click system to address transportation needs for adults with disabilities and the growing senior population in Waukesha County. For more information on One-Call One-Click programs around the country, please click here.